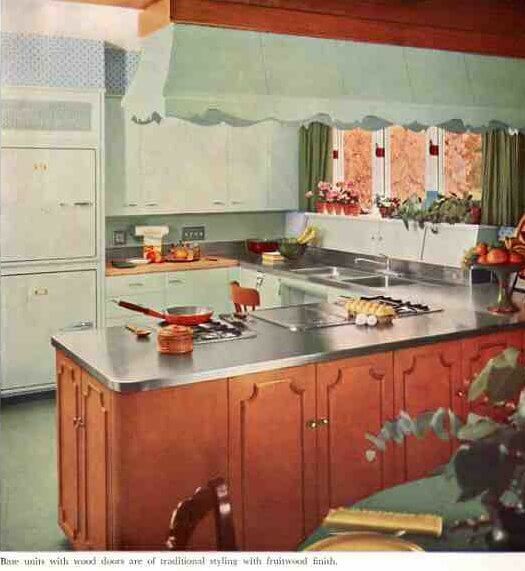 Vintage steel kitchen cabinets are my #1 passion, even ahead of vintage stoves. These things are awesome. Get some of your own if you don’t already. 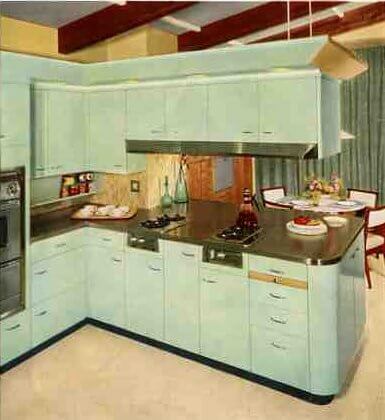 In celebration of the large set now on ebay: A showcase of some gorgeous 1957 St. Charles Kitchens. 1957 was a great year — so deep in the heart of iconic design for the period. A decorating frenzy. Everything available! 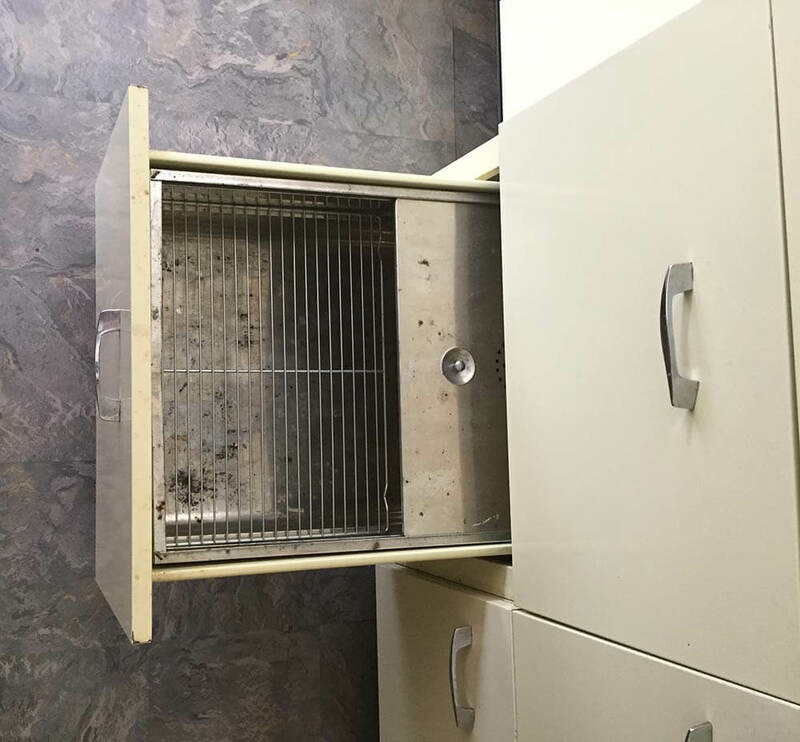 Kay mentioned recently that she had seen purple cabinets pulled out of a house down the streets some years ago. We commiserated on their unknown fate. Kay, what do you think of the “spring violet” base cabinets up top? St. Charles operated from 1935 until the mid-80s. They were located in St. Charles, Ill., with a showroom in New York City. 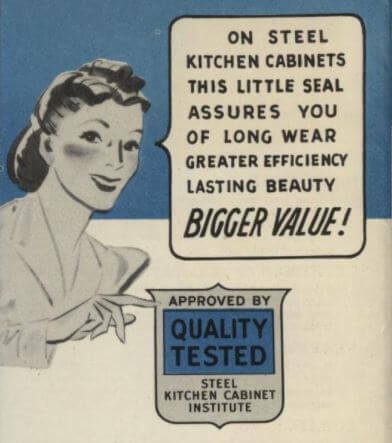 In fact, they were the last of all the big steel kitchen cabinet makers to end their manufacture of these beautiful relics. The other big makers were: Geneva, Youngstown, Republic, GE. Other names: Lyon, Sears, Homart (a Sears brand), Montgomery Ward, American, Tracy, Capitol, Yorktown, Beauty Queen, Kitchen Queen, American-Standard, Hotpoint, Crosley, Crane – and more, smaller local and regional makers. See my Steel Kitchen Cabinets category for more examples. 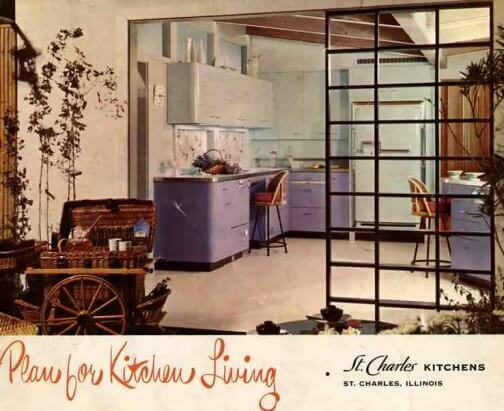 In 1957, St. Charles kitchens came in 15 colors plus white. Nice to have the retro color list; “bittersweet” — I can only guess — is a peachy-orangey color, as in Stangl Bittersweet dinnerware. 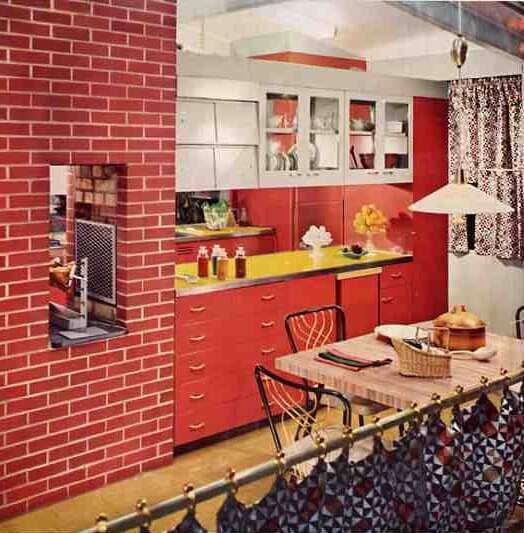 Dig the terra cotta kitchen with the brass (not chrome) handles. 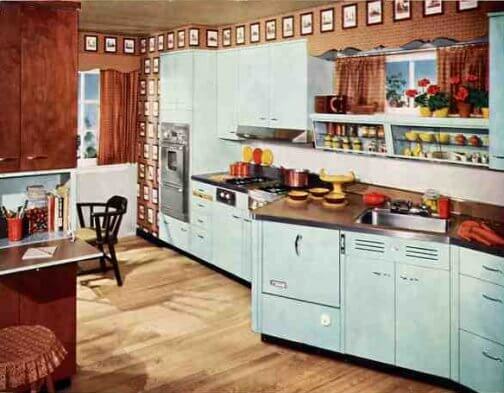 Notice, the two-tone kitchens, and how they are starting to integrate wood into their designs. The battle was “on” with the wood lobby…and it’s a battle that ultimately was the death knell of steel kitchen cabinets. Enjoy the memories. 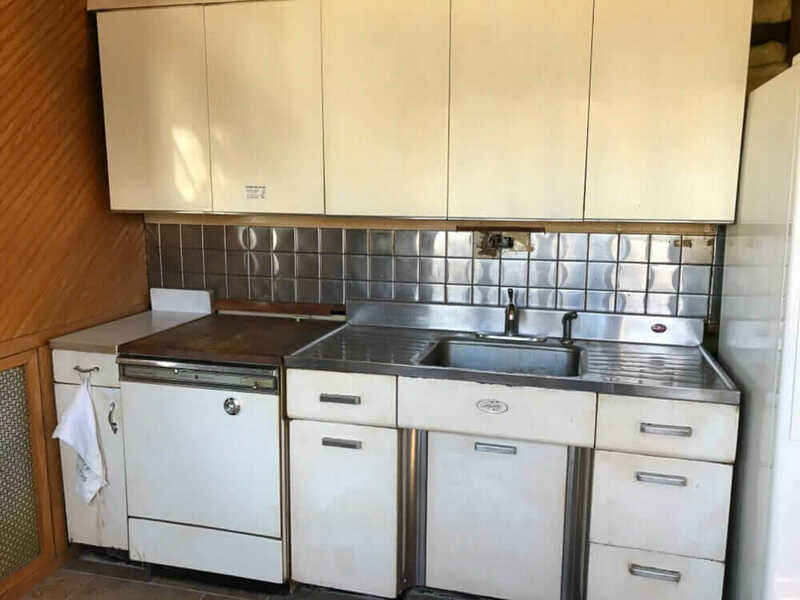 Levitt steel kitchen cabinets — 87th brand of metal kitchen cabinets discovered in Levittown!